If you’re anything like me, chances are you were all over Bitcoin when the online currency’s value boomed last fall. It seemed like a new age in the way we trade, paving the way for a revolution in web-based payment systems. Then the Mt. Gox bust happened. One of Bitcoin’s biggest exchanges suddenly going offline, taking almost 800,000 coins with it, and in the process seemingly irreparably shattering user trust in the virtual currency. Indeed, it was tough times even for those of us (like myself) who hadn’t yet invested in the platform, as it cast a cloud over the future of what still is a fledgling industry, already not short of critics. That’s where Circle comes in. Created out of Mt. Gox’s ashes, the Boston based company headed by CEO Jeremy Allaire is looking to fit into the market as an easy to use Bitcoin exchange, which works more like an online bank, or conventional payment platform. Active on limited release for the moment (via invitation request only), Circle is working to create an easy, safe to use, and insured (more on all of these below) method of exchanging Bitcoin, and using the currency for daily transactions. In terms of capital, it seems to be on the right track. The company had amassed $26 million in funding by its launch in May from a series of investors. The backbone of the operation, and a factor which sets it apart from various prior, and still existing exchanges is that the vast majority of the funds it holds are stored offline, providing increased safety for existing deposits. It also requires a series of authentication procedures to be successfully completed before most major actions (transfers, settings changes, etc.) take place from its users. 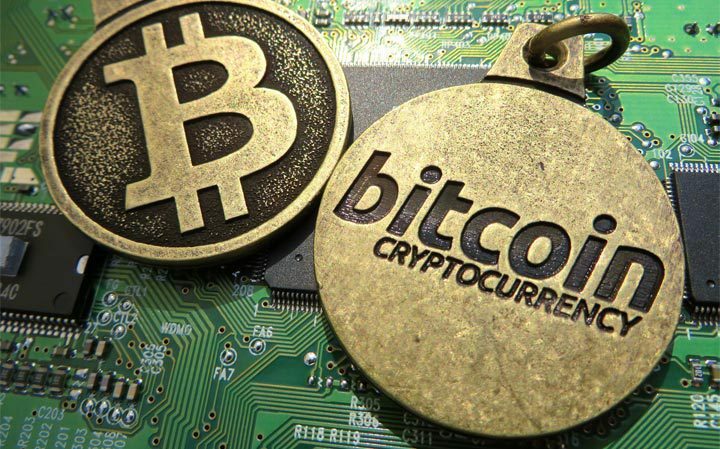 Existing Bitcoin (or other digital currency) services require users to understand public key cryptography or the installation and management of specialized desktop software, or demand that users act more like traders than like bank customers, according to a blog post on the Circle web site. Allaire’s company is looking to change that by providing an instant conversion process from a customer’s fiat currency to bitcoin — and back again. In fact, when visiting the site, any potential customer is introduced to a well laid out explanation of how exactly the company works, and why it’s a more efficient choice than what’s available at the moment. Specifically mentioning the (instantaneous) speed of transactions, Circle seems poised to position itself as a PayPal for virtual currencies. There’s also something in it for the safety conscious. The company insures all of its users at no cost to them, guaranteeing a full refund should anything go wrong. Even for the most skeptical of virtual currency collectors, this is a major step forward. As with any industry, with a total value at nearly $6.5 billion* offering a new, streamlined service is bound to have the potential for significant profit. Circle has done well to build on the pitfalls of exchanges before it, creating a system which at least on paper seems to be as safe as it is easy to use. Providing consumers, many of whom might be trading with virtual currencies for the first time, the peace of mind that their deposits are safe, is a major competitive advantage. If the company continues to work to offer a user friendly experience then there’s no reason why it shouldn’t take off. The greatest enemy at the moment might indeed be a hesitant consumer base. If the users can be won over, and if regulators don’t ruin the party, then the future might well be bright for the firm.